My younger brother and I grabbed our rain jackets, a bunch of bananas and my camera bag and headed off south from Coffs Harbour along the highway. 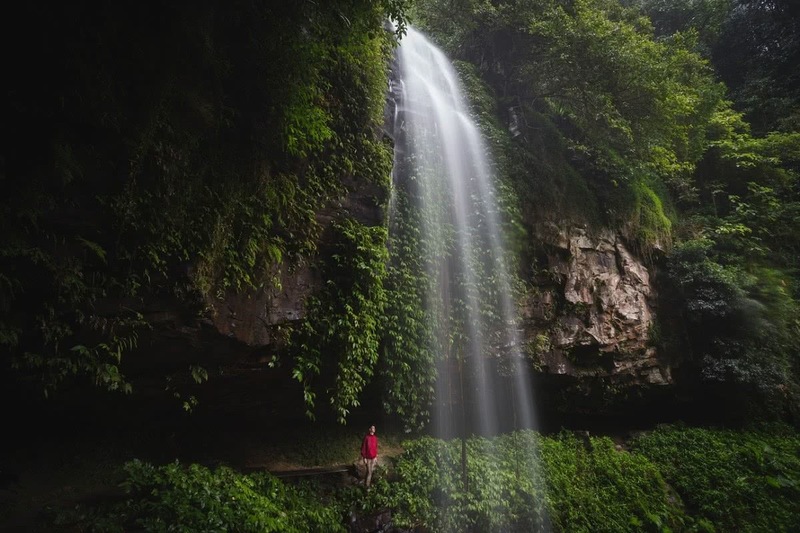 We exited on to the beautiful Waterfall Way which winds through the pristine Bellingen Shire and eventually up the Dorrigo mountain range. This is my favourite road to travel on because you have to take it slow, the roadside scenery is spectacular and it’s the gateway to a number of my favourite locations. We reached our destination, the Dorrigo Rainforest Centre carpark, just as heavy fog crept in and the rain started to fall. The whole place was empty except for one family who were leaving, which meant we had the place to ourselves – score! We decided we’d stick to the main track, Wonga Walk, for the morning because we had to head back home in a couple of hours. As we started descending the track into the forest we immediately felt the temperature drop and the echo of native birds became louder with each forward step. 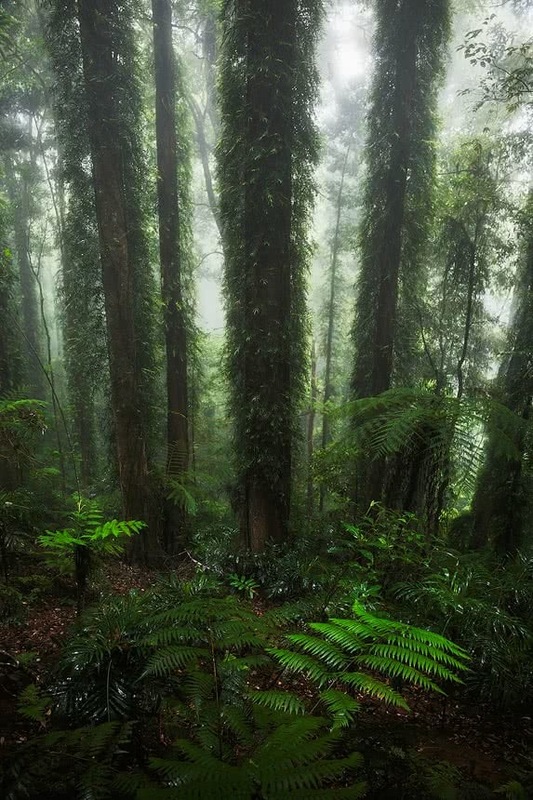 Steady rain filtered through the towering canopy casting a heavy mist through the forest. It was a prehistoric paradise. Forty-five minutes passed before we reached the foot bridge leading to Crystal Shower Falls. Appropriately named, it may not be the biggest waterfall around but it certainly is one of the prettiest, and the fact that you can walk behind and beneath it makes it even more impressive. 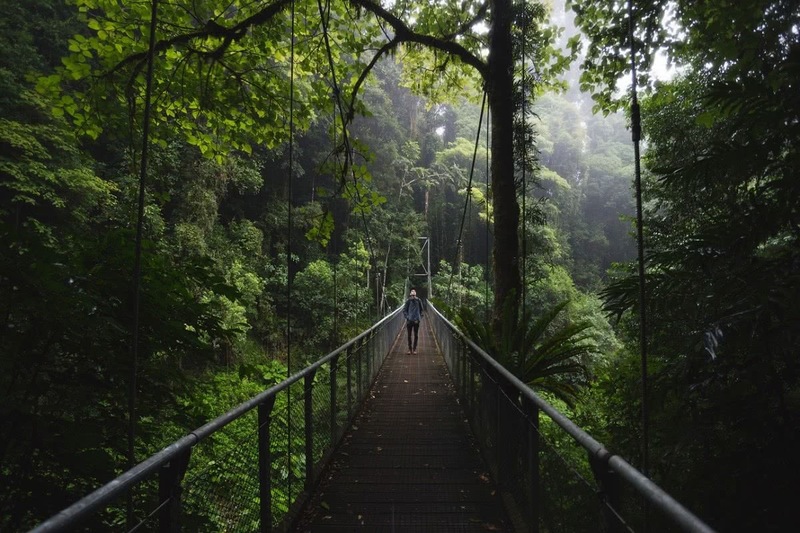 Dorrigo National Park is located 63km west of Coffs Harbour along the picturesque Waterfall Way on the NSW Mid North Coast. 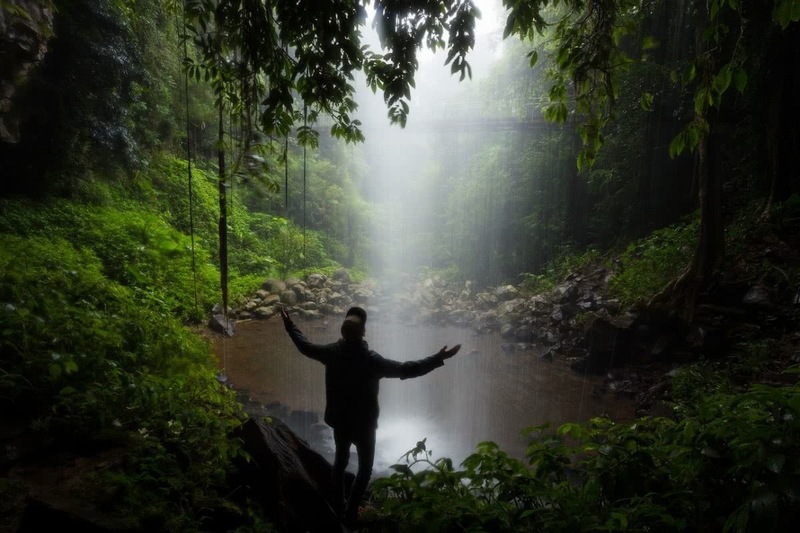 The park can also be reached from Armidale and Guyra, both of these towns being approximately 130km west of Dorrigo. Beginner for the Wonga Walk. Intermediate for other walks in the park. The Wonga Walk is a 6.6km loop. Approximately 200m between highest and lowest point, descending at the start of the track. If you’re a keen microadventurer who would like to become an official Explorer for We Are Explorers, then check this out. 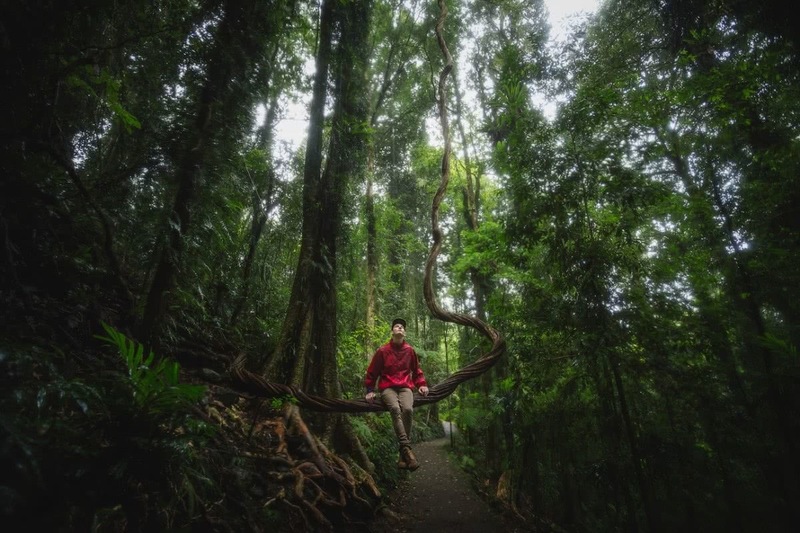 Liam is a 22 year-old photographer who spends his time off exploring the lush surrounds of Northern NSW and South East Queensland, camera in hand. He feels most at home around a warm camp fire under a starry night sky. His love for adventure and photography go hand in hand, pushing him to visit new and exciting places as often as possible.